And Now… For Something Completely Different! That daring Jewish music listener who has a bit of nerve in him; maybe appreciates something edgy or dramatic – or certainly something artistically different, has a few treats in store! Here are two superb Jewish jazz albums released recently. You’ve never heard Carlebach quite like this – guaranteed! With heavy jazz work centered around an Afro-Cuban beat, this has a sound like none other in Jewish music. You may have heard of some of the musicians, though – because they’re all star soloists in their own right: Jon Madof on guitar (Jon’s main band is Rashanim – and Madof had begun this tradition with the Cracow Nigun on their record “Shalosh”), Frank London on trumpet, Greg Wall on sax, Marlon Sobol on percussion, and others, all truly phenomenal musicians. And boy do they put out the power – crank up the bass and the volume, because this is quite a ride! The song collection focuses on some of Carlebach’s most well known tunes, but the jamming moves well and away out. On the one hand, they can certainly be accused of touching avante garde improv, but by and large they keep it very melodic, while very eclectic, and VERY exciting. Personal favorites would be: Yehi Shalom – Chilled jazz doesn’t have to be boring. And here’s proof. The sweet sax, with the horns and a beautiful baritone sax backing up, is golden. And the solos – first a dreamy echoing baritone laid atop the percussive brilliance, which sidles over to something a bit more nightmarish, but very cool. The trumpet solo that follows only picks it up an even higher notch. Great stuff! Ein Kelokeinu – Starting with its brilliant breathy semi-beatbox, this popular tune is rocked all the way out with Madof’s guitar leading the way. Solos here are pretty wild, to say the least: zoo-like sounds throughout the keyboard solos, and a crackling guitar solo that leads to a frenetic frenzy. Asher Bara – Just awesome. I’ll let your ears check it out for yourself – this splendid clip gives you some idea of what goes on on this album: https://www.youtube.com/watch?v=w90pWWidd5I. And each of the other 6 tracks is as skillfully, yet playfully played as these 3. Tov Lehodot has a heavy rock opener, and then slips into the space between reggae and jazz. A sublime flute solo flutters away halfway through. Holy Brother brings to life some big band salsa. Pischu Li is a bit of Jimi meets Coltrane. And Nygun and Nygun Reprise work through the emotion of a lengthy preface, but showcase the totality of the band’s unique sound. I hesitate to write more, lest I drool on my keyboard – talk about new energy to old music! 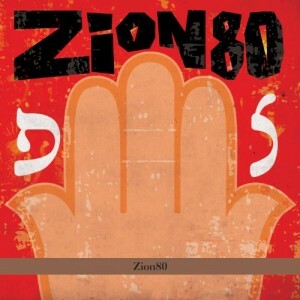 Zion80 is a record just jam-packed (pun intended, no apologies) with musical surprises and artistic brilliance. Just pick up a copy and check it out for yourself. On a completely different side of the jazz oeuvre, comes this new album by Yochanan (Sebastian) Winston. This talented flautist and saxophonist mapped the ten sefirot on a music page using their gematriyot, composing these pieces based on whence they fell. The results are quite meditative when they’re not trippy; something to behold for jazz fan. While I personally appreciate the more melodic pieces of the Suite, I appreciate the all-around creativity. I’ll admit to not “getting” the windy Keter and Gevurah, but the tracks Chochmah and Chesed are themselves objets de arte: cascading percussion and light keyboard form a delicate curtain around the stunning flute. On Binah and Malchut, Winston brings his striking sax aboard for some cool, relaxed solos. The album could have used more, if only for variety’s sake. And on those lines, while I found the solos to be fairly distinct and creative, I found a few of the compositions too similar to one another. As a student of Kabbalah myself, I wish the music more closely matched the concept of each of the Sefirot, as opposed to just the names’ Gematriyot. That being said, this is a sweet, relaxing jazz album. 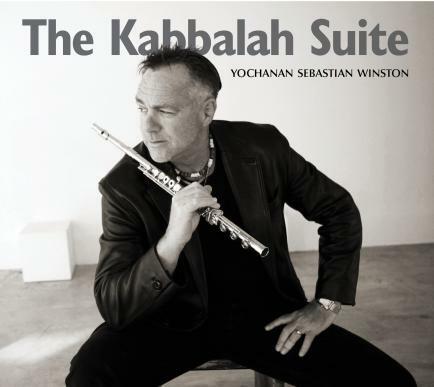 The Kabbalah Suite is a musical master’s nod to his mystical tradition.